Senior Vice President, Industrial & Office, B.C. Chris Stokes joined QuadReal as Senior Vice President, Industrial & Office, BC in February 2017. He focuses on the investment, development and operation of the company’s office and industrial properties in British Columbia. Chris was formerly a Vice President, Investment Management at Bentall Kennedy. 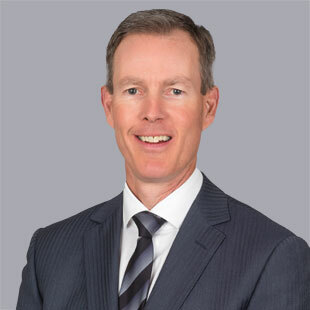 He joined Bentall Kennedy in 1992 as a member of the commercial leasing team, with a focus on downtown and suburban office development leasing. In 2003, Chris joined the investment management team servicing BCI’s account, with a continuing focus on downtown and suburban office development projects. Prior to joining Bentall Kennedy, Chris worked in commercial real estate brokerage and articled for a major firm of chartered accountants. Chris holds a Bachelor of Commerce Degree in Urban Land Economics from the University of British Columbia, and is a licensed realtor with the Real Estate Council of British Columbia. Chris is committed to helping the BC team to maximize value and opportunities within the region.